Cloud computing, where data is stored offsite on servers owned by third parties and accessed via an internet connection - has been around for more than a decade now. At first, lawyers have were slow to adopt to the concept even though it offers a host of benefits, including 24/7 access to law firm data, the convenience and flexibility of being able to enter billable time on the go, communicate and collaborate with clients in a secure online environment, and easily manage calendaring and tasks from any internet-enabled device - all at an affordable price. As I predicted, after remaining stagnant at ~30% from 2013-15, with that percentage increasing to 38% in 2016. Interestingly, this year’s survey results showed a marked increase in the number of lawyers using cloud computing, with that percentage jumping to a whopping 52% for all lawyers in 2017. Solo and small firm lawyers lead the way in cloud computing use according the 2017 Report. The survey results indicate that 56% of lawyers from firms of 2-9 attorneys used cloud computing (compared to 46% in 2016, 40% in 2015, and 35% in 2014), as did 56% of solo lawyers (compared to 42% in 2016, 37% in 2015, and 35% in 2014), 52% of lawyers from firms of 10-49 attorneys (compared with 33% in 2016, 23% in 2015, and 29% in 2014), and 42% from firms of 100 or more attorneys (compared with 20% in 2016, 17% in 2015, and 19% in 2014). Lawyers were also asked to share which cloud computing programs they used in their firms. The 3 most popular legal cloud computing software programs used by lawyers were MyCase, NetDocs, and Clio. The 3 most popular non-legal cloud computing programs used by lawyers were Dropbox, iCloud, and Google Docs. When asked why they chose to use cloud computing software in their law firms, respondents provided a vast array of reasons. The most popular benefit cited was easy browser access from anywhere (73%), followed by 24/7 availability (64%), low cost of entry and predictable monthly expense (48%), robust data back-up and recovery(45%), quick to get up and running (39%), eliminates IT & software management requirements (30%), and better security than can be provided in-office (25%). It’s clear that we’ve reached the tipping point now that more than half of all lawyers use cloud computing in their law firms. For lawyers who have not yet made the leap to the cloud, the good news it that there are now more legal cloud computing software choices than ever before. The trick is coo choose a well-funded, reliable vendor with staying power, so make sure to carefully vet each software provider that you’re considering. You can find a list of questions to ask third party vendors here: https://tinyurl.com/Questions4LegalVendors. It’s also important to check online for reviews from current customers. Finally, reputable vendors will also offer free trial access to their software so make sure to take advantage of that option and then test drive a few different software programs before committing. 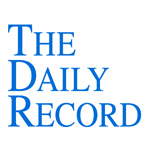 Nicole Black is a Rochester, New York attorney, author, journalist, and the Legal Technology Evangelist at MyCase, intuitive web-based law practice management software for solo and small law firms. 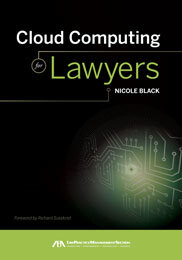 She is also the author of the ABA book Cloud Computing for Lawyers, co-authors the ABA book Social Media for Lawyers: the Next Frontier, and co-authors Criminal Law in New York, a West-Thomson treatise. She is the founder of lawtechTalk.com and speaks regularly at conferences regarding the intersection of law and technology. She can be reached at niki@mycase.com. Earlier this month, the Nebraska Ethics and Advisory Committee handed down Opinion 17-03, concluding that it was ethical for lawyers to accept Bitcoin as payment for legal services. It was the first opinion to address this issue and most certainly won’t be the last. No doubt you’ve been hearing more and more about Bitcoin and Blockchain in recent months. And there’s a good reason for that: the use of Bitcoin as a form of payment for services, legal and otherwise, has been increasing significantly. Simply put, Bitcoin is a digital currency or “cryptocurrency” that differs from traditional currency because it is not backed by any country’s central bank or government. Like traditional currency, bitcoins can be traded for goods or services with vendors who accept bitcoins as payment. To use Bitcoin, you’ll have to sign up for a Bitcoin Wallet app online (online: https://bitcoin.org/en/choose-your-wallet ) or download a Bitcoin Wallet app to your smartphone. Your Wallet acts as a virtual bank account of sorts that allows you to send or receive bitcoins. You can buy bitcoins using your traditional bank account through a Bitcoin Exchange. Then you can spend bitcoins by locating businesses that accept it using a directory like this one. Blockchain is a public ledger of all digital currency transactions. In other words, Blockchain is essentially a chronological history of bitcoin transactions, and each individual “block” is similar to a bank statement. Because Bitcoin is an emerging currency that is increasingly being used by consumers, lawyers need to familiarize themselves with it. As the general population begins to use Bitcoin more often, potential legal clients will begin to expect law firms to accept this type of digital currency. So accepting Bitcoin may very well give you a competitive advantage. Of course, demand will vary by geographic region and practice area. But, as you well know, the more types of payment you accept, the more easily clients can pay your law firm for services rendered. That’s why so many lawyers now allow clients to pay online by making ACH payments or credit card payments. And, just as accepting debit and credit cards online makes you more marketable and appealing to potential and current clients, so too does accepting other forms of payment such as Bitcoin. Another reason to familiarize yourself with how Bitcoin works is because it may soon begin to affect certain practice areas. For example, lawyers who handle securities law or financial litigation matters may find that their practices are increasingly impacted by Bitcoin. That’s why now is the perfect time to get up to speed on Bitcoin and Blockchain. Educate yourself and then make an informed decision as to whether accepting Bitcoin makes sense for your law firm. It will be time well spent. You’ll learn something new and, if you decide to accept Bitcoin, you’ll offer potential clients one more reason reason to retain your firm over a competitor.